Grief is deeply personal. It can be connected to culture, to religion, to personal experience and to developmental age. But it can also be connected to one’s gender: Based on a new study by Chris Bowden, a lecturer at the Victoria University’s School of Education, young men, especially, have a tendency to suppress their grief and suffer in silence when a close friend commits suicide. To do so, Bowden conducted in-depth interviews with a group of young men — ages 17 to 25 — over a period of a year. Rather than a traditional lab setting, these interviews took place as “ride-alongs,” while the men were working on cars, attending barbecues, playing video games or otherwise living their daily lives. I recently spoke to him about what he learned. What was the impetus for this study? [It’s important to remember that] people bereaved by suicide are at significantly higher risk of suicide themselves. 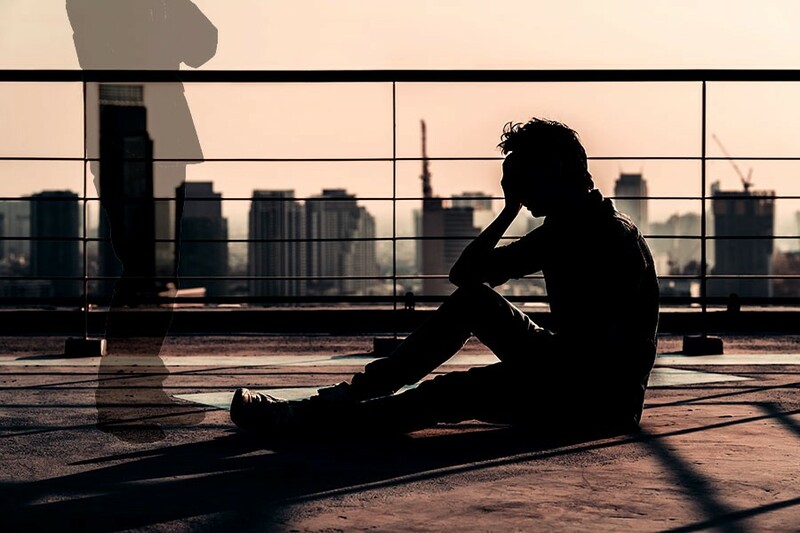 Young men are more likely to be exposed to suicide in a friend, as young men have some of the highest rates of suicide, but research on young men’s experiences of this bereavement is missing from the discourse on suicide. We know very little about what it’s like for young men to lose someone close to them by suicide, particularly close friends. Without good descriptions and understanding of the phenomenon — what they experience — we can’t provide appropriate and gender-responsive suicide postvention care and support. There also has been a presumption that all people experience suicide bereavement the same way, and that a “one-size fits all approach” will work to supporting suicide loss survivors. But we know that existing suicide prevention, intervention and postvention initiatives haven’t been effective in reducing suicide in men — they’re based on “top-down” approaches and haven’t included the experience and wisdom of male survivors. From what you’ve read and studied, do men process grief differently to women? Grief research shows us that the way people grieve any kind of loss is gender-related, but not necessarily gender-specific. Some studies have shown there are masculine and feminine grief styles — for example, we know that people, both men and women, who adhere to a masculine grief style will moderate their feelings and process their grief cognitively. Accepting help and social support challenges their masculine status and their ability to be self-reliant. On the other hand, men and women who adhere to a feminine style of grief are more likely to express their grief emotionally and experience it intensely, sharing their grief with others. I think men and women who are suicide-loss survivors probably grieve differently because of the gender roles and norms that shape their behavior, but also because friendship means different things to young men and young women. Why did you feel it necessary to conduct these interviews as “ride-alongs”? The guys weren’t always comfortable sitting and talking — that’s what women do — so we often did interviews on the go. We talked about their experience and I listened and observed in situ. Some participants invited me to go to places that had meaning to them because they bore connections to the deceased — they did this to help me better understand their experience. On some occasions, I traveled with them in the same car, and we talked about their experience and memories on the way. We talked about things they did with their friends, adventures they had, run-ins with the law, near-death experiences, skills their friend had taught them, times they felt close to their friend and what they missed the most. This meant I was able to collect data in a more natural and ethnographic way and grasp the meaning of their experience, and also participate in their grief experience. Why do these young men feel they have to grieve in silence? Traditional hegemonic masculinity and gender norms that strongly suggest men need to be strong, silent, self-reliant, self-contained and restrictive in their emotionality. Fear of judgement and losing their masculine status — being seen as weak, vulnerable, lacking in control, unable to manage their emotions. Negative attitudes toward help-seeking and negative experiences of talking to friends, family and professionals about their experience. Social ineptitude and lack of available people who can support them and who are respectful of masculine practices. A lack of gender-responsive training and knowledge in health and counselling professionals. A lack of safe spaces for men to talk, share or express their grief in ways that are appropriate to them. Is grieving in silence necessarily a bad thing? Grieving in silence isn’t totally problematic — people grieve in ways that are unique to them. For some, doing grief work in silence and solitude might be what they need — time and space to mourn and to process their experience. Some parents find the need to grieve in silence so that their children don’t see them upset, or so they don’t burden others. However, this can exclude children from learning that expression of grief is normal, and that people can share grief and suffering and support one another. The problem with grieving in private is that some people aren’t then able to express their grief to others, which also means they aren’t able to ask for or receive help. It may also mean that people don’t get emotional support, validation of their experience or help making sense of their experience. It could contribute to self-stigmatization and reinforcement of social isolation. You mention four types of silence in your study: Personal, private, public and analytic. How do these manifest? When participants first learned that their friend had taken their own life, they struggled to find the words to describe what they were experiencing. This is personal silence — it’s comparable to “shocked detachment,” a state of being shattered, [feeling] numbness and disengagement. Private silence was the silence the men experienced as result of their desire to remain stoical, choosing to keep quiet about their grief and vulnerability because they didn’t want others to judge them as weak or incapable of performing their roles. They withdrew from others and used emotional restraint — keeping busy, suppressing suicidal thoughts and self-harming behaviors — out of fear of losing control, breaking down and being judged. Public silence was encountered by the men in social environments. They were silenced by the hurtful words and actions of others, like being told to get over it and move on, or by judgmental comments about their friend. They broke their silence with a select few people who made them feel safe and who knew their friend and could share stories and memories with them. Analytic silence was when the men sought out quiet spaces that helped them reconnect with their friend. It helped them integrate their grief, accept their loss and make sense of their experience. As a result, the men became aware of how suicide had changed them, and they developed a new self-narrative — they made commitments to be more caring, sensitive and appreciative of life. What concerns you most about how these young men handle this kind of emotional trauma? There were several things that concerned me about their experience of suicide bereavement. One was how the men struggled to find professionals and people they could trust, who could help them make sense of what was going on and provide practical support. The professionals who they had contact with just didn’t understand them, their experience or their needs — it really pissed the men off because they just encouraged them to talk about how they felt, when what they wanted was strategies for managing overwhelming emotions. They saw incessant and detailed discussions of their inner world as irrelevant, unhelpful and painful. The second thing that concerned me was the self-destructive behavior (self-harm, suicidal thinking, substance use) and the methods of self-medication they used to deal with overwhelming emotions and grief. Third was the way they were treated — marginalized, disrespected and silenced by adults who often excluded them from grief rituals, or who made it difficult for them to say goodbye and maintain a connection with their friend. Finally, the loneliness and sense of isolation they experienced, the feeling that they had to go through it alone. The problems you describe here seem like they’d probably apply even more to older generations than younger men. Does that mean older men face a similar struggle to the men you studied? My study showed those norms are still a strong influence on the young men that I interviewed, but rather than age, I think it’s about how men have been socialized, and what gender norms and roles they adhere to. That said, there’s probably greater pressure on older men to conform to dominant traditional norms of masculinity: Not talking about emotions, not acknowledging or expressing vulnerability, avoidance of practices that are considered feminine. I think some young men are finding other ways of expressing and communicating their grief — some are finding support and safe spaces online. Young people are probably less isolated than older men, too — more connected, and therefore, more likely than older men to have people to confide in.